My aunt once told me many years ago that if there is one thing I should spend my money on it should be good skincare products. Looking back now that was probably some of the most sound advice I received in my twenties and I’ve never looked back! Since then my beauty knowledge and selection of product has increased exponentially! I’ve discovered there is a product for every skin type and season and it’s not unheard of to change your skincare routine seasonally; much like your approach to fashion. Beauty (and the use of beauty products) is, of course, subjective but we can’t argue that product nowadays is more beautifully crafted than ever, bringing together an enticing mix of ingredients. 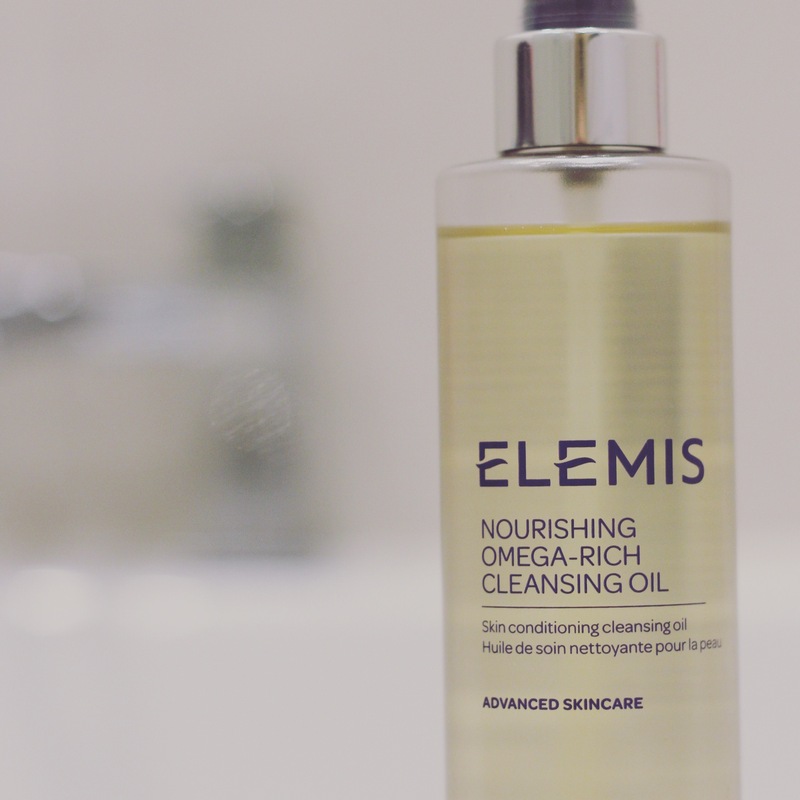 Cue the Elemis Omega-Rich Cleansing Oil. This was a self purchase over the Christmas period and I’ve only recently started using it as I ran out of cleanser. It’s also the first time I have used an oil based cleanser. The texture is incredible and the product literally glides on to my skin, effortlessly removing any traces of makeup. 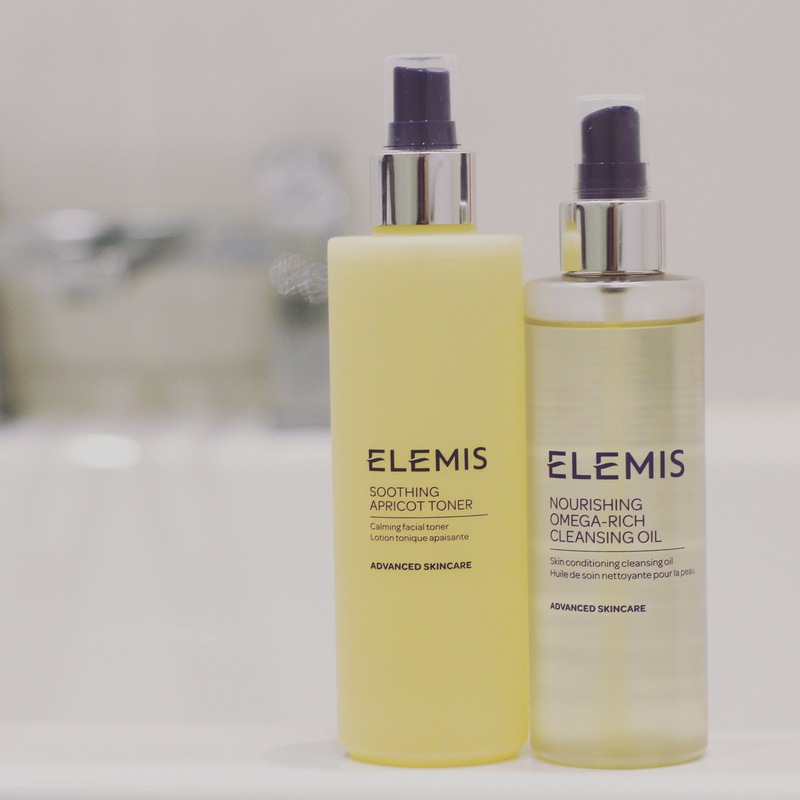 There is a whole host of ingredients listed on the Elemis website but the Active ingredients include Winter Rose Oil, Chia Seed Oil and Pomegranate Extract. The smell is just gorgeous! Blended with 90% natural oils this cleanser is delicate on your skin yet delivers on the job! I use 3 pumps at night which is ample product (I’m not really a morning person so I spend more time on my skincare routine at night. My morning routine usually involves me slapping on my day cream before I attempt to make myself look semi presentable with some makeup). The Apricot Toner was included in the gift set I bought and although I have a massive crush on the cleanser I’m less excited by the Toner. The smell is lovely and the Active ingredients include Apricot, Saponins from Quillaja Wood and Sweet Betty Flower (FYI – I resorted to Google to find out what Saponins were) but the Toner didn’t really knock my socks off however it does do what it says on the box. Personally I’ve found I needed to use a lot of product to dampen a cotton wool pad before use. Having looked at the Elemis product page I may just take their advice and use the Toner as a revitalising spritzer and stick to my preferred Toner at the moment which is the Pixi Glow Tonic – it’s utterly lush!